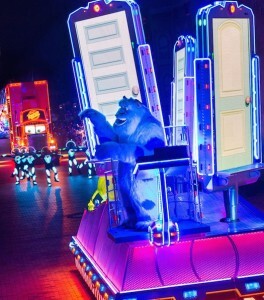 SULLEY ON THE SCARE FLOOR IN ‘PAINT THE NIGHT’ (ANAHEIM, Calif.)— Sulley from ‘Monsters, Inc.’ brings guests into the world of Monstropolis in this all-new new after-dark spectacular at Disneyland park inspired by the iconic ‘Main Street Electrical Parade.’ ‘Paint the Night’ is full of vibrant color and more than 1.5 million, brilliant LED lights and features special effects, unforgettable music, and energetic performances that bring beloved Disney and Disney●Pixar stories to life. 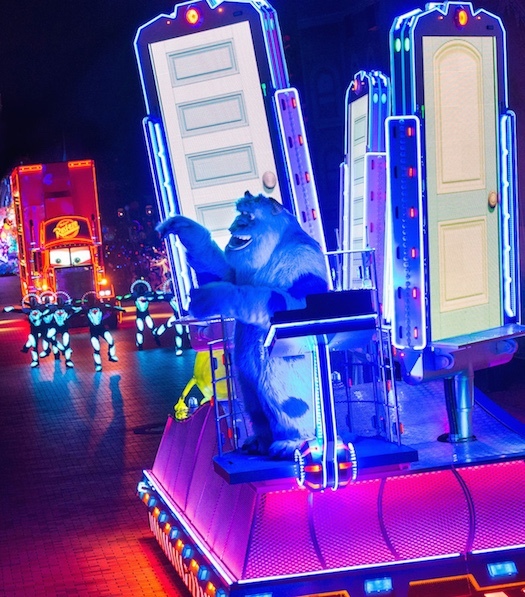 Celebrating 60 years of magic, ‘Paint the Night’ is one of three new nighttime spectaculars which will immerse guests in the worlds of Disney stories like never before. The Diamond Celebration at the Disneyland Resort begins Friday, May 22, 2015.